"Listing: Side to Side, Top to Bottom — Tips and Techniques for Writing Every Day"
Nathan Brown is an author, songwriter, and award-winning poet living in Wimberley, Texas. He holds a PhD in English and Journalism from the University of Oklahoma where he taught for seventeen years. He served as Poet Laureate for the State of Oklahoma in 2013/14, and now travels fulltime performing readings and concerts, teaching workshops, and speaking on creativity, poetry, songwriting, and creative writing. Nathan has published roughly eighteen books. Most recent are An Honest Day’s Ode; Apocalypse Soon: The Mostly Unedited Poems of Ezra E. Lipschitz; and Don’t Try, a collection of co-written poems with Austin Music Hall of Fame songwriter, Jon Dee Graham. Karma Crisis: New and Selected Poems, was a finalist for the Paterson Poetry Prize and the Oklahoma Book Award. His earlier book, Two Tables Over, won the 2009 Oklahoma Book Award. 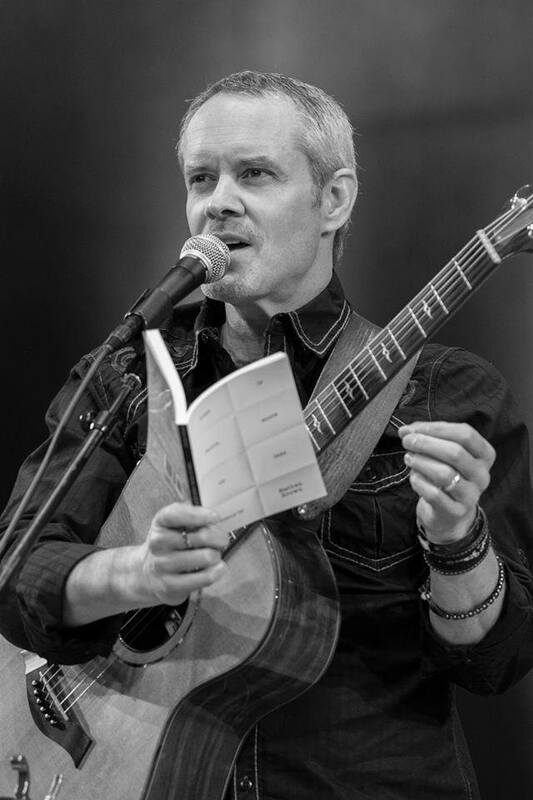 He’s taught memoir, songwriting, performance, and creativity workshops for the Sisters Folk Festival in Oregon, the Taos Poetry Festival, the Woody Guthrie Festival, the Everwood Farmstead Foundation in Wisconsin, as well as Blue Rock Artist Ranch near Austin, Texas.